After a whirlwind start to the year Jim Clark was able to relax for a few days. 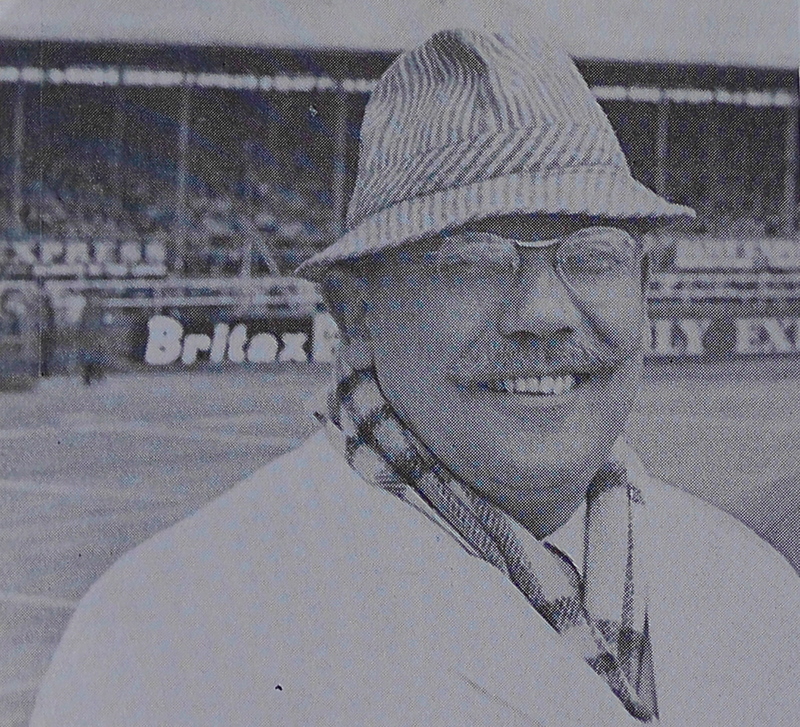 Three successive wins enabled him to enjoy the farm like never before; and, back in Balfour Place for a few days before the run up to Silverstone, Sir John Whitmore was full of Rob Slotemaker’s antics and all the recent racing news. In between, however, there was the little matter of the Milwaukee test. The Indy Lotus 29-Fords had basically been garaged at the Speedway since the race but, in the build-up to the Milwaukee 200 on August 18, rebuilds and further fettling took place at Ford’s headquarters in Dearborn, Michigan. Jim flew to Chicago on July 10 and on July 12 completed a successful day at the one-mile Milwaukee oval, running through Dunlop tyre compounds and in the process raising the average lap speed – over one mile! – by nearly 5mph. Still running a five-speed ZF gearbox (whilst team-mate Trevor Taylor persisted with the six-speed Colotti on carburettors), Jim’s trusty, fuel-injected Lotus 25/R4 had now blossomed into its ultimate, legendary 1963 form: Colin Chapman had decided to run a wide yellow stripe down the car, front to rear, co-ordinating the yellow with the wheels and the “Team Lotus” lettering and pin-striping down the cockpit sides. The car also ran the Zandvoort-spec aeroscreen. Jim, as ever, wore his Dunlop blue overalls, his peakless Bell helmet, string-backed gloves, Westover boots and, for when he was out of the car, helping the mechanics or strolling over to the Esso caravan or the paddock cafe for a cuppa, his dark blue Indy Pure jacket. The 25, meanwhile, finally wore a new set of Dunlops – around which revolved the usual number of discussion points. On this occasion it was gear ratios: as part of the compromise with the five-speed (but more reliable) gearbox, Jim and Colin decided to race smaller-diameter rear Dunlops. 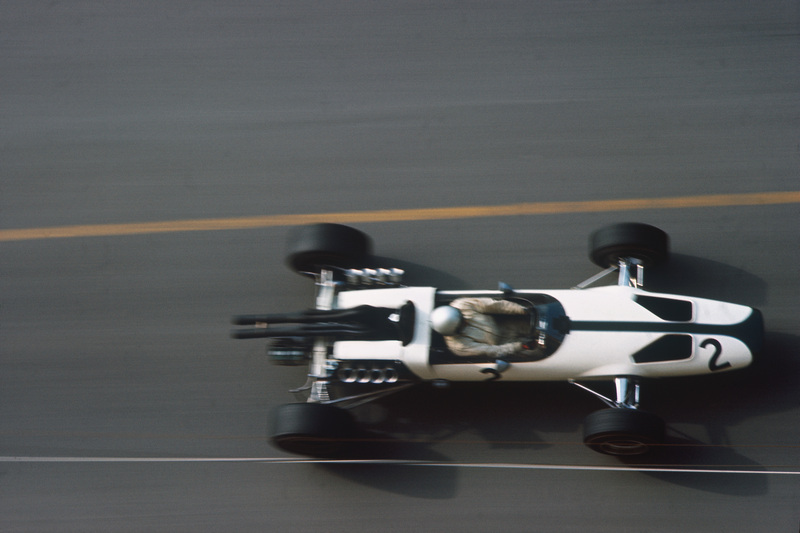 “Dan Gurney had got down to a time equaling Jim’s best, and Jim was out to see if he could do better. Graham was in danger of being knocked off the front row so he was out too, and for 15 minutes, while Jim, Graham and Dan pounded round, I was graphically reminded of the reason why people go to see motor racing. “When you’re out in an F1 car you haven’t got time to think about the fact that you’re moving fast: you’re concentrating on keeping the movement of the car as smooth and as graceful as possible, getting the throttle opened just that fraction quicker than last time and keeping it open all the way when you’ve got it there. “At Silverstone you concentrate on shaving the brick walls on the inside, just an inch or two away, and you hold the car in a drift that, if it were any faster, would take you into a bank or onto the grass. If you are any slower you know you are not going to be up with those first three or four. You know perfectly well you are trying just as hard as you possibly can, and I know when I’ve done a few laps like this I come in and think to myself, well, if anyone tries harder than that, good luck to them. “Jim came in so fast and left his braking so late that I leapt back four feet, convinced that he wouldn’t make the corner, but when he went through, working and concentrating hard, I’m sure his front wheel just rubbed the wall. I barely dared to watch him come out the other end. “It struck me that Clark and Gurney’s experience at Indy this year may have had something to do with their first and second places on the grid. Silverstone is just one fast corner after another, taken with all the power turned right on and the whole car in a pretty fair slide but, nevertheless, in the groove for that corner. Something like Indy, I should imagine. Saturday was one of those great sporting occasions in the United Kingdom. One hundred and fifteen thousand people were crammed into Silverstone by 10:00am; and by 2:00pm, by which time they’d seen Jose Canga two-wheeling a Simca up and down pit straight; Peter Arundell win the FJ race from “Sally’s MRP pair” (Richard Attwood and David Hobbs); Graham Hill demonstrating the Rover-BRM turbine Le Mans car; an aerobatic display and the traditional drivers’ briefing, everyone was ready for the big event. 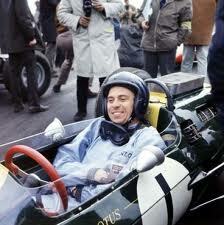 Dan Gurney settled into his Brabham with Jim Clark to his right in the Lotus 25. To Dan’s left, Graham Hill, the World Champion, lowered his goggles under the pit lane gaze of young Damon. 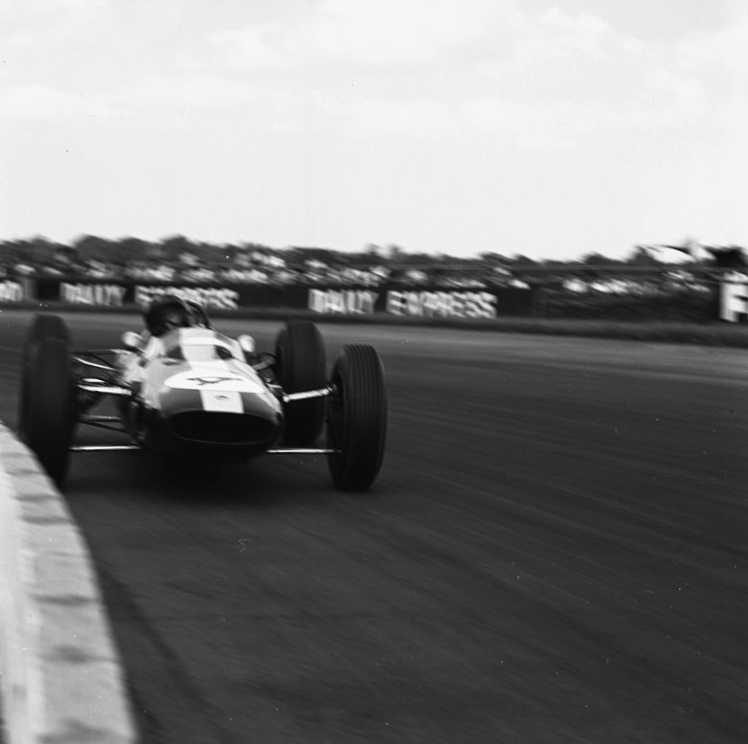 Making it four-up at the front, Dan’s team-mate, Jack Brabham, sat calmly in his BT7. With but minutes to go, Jim asked for more rear tyre pressure: Silverstone had felt decidedly oily on the formation lap. The 25 had never been more oversteery. Jim was slow away on this occasion: wheelspin bogged him down. He was swarmed by the lead pack as they headed out of Copse and then onwards to Maggotts and Becketts. 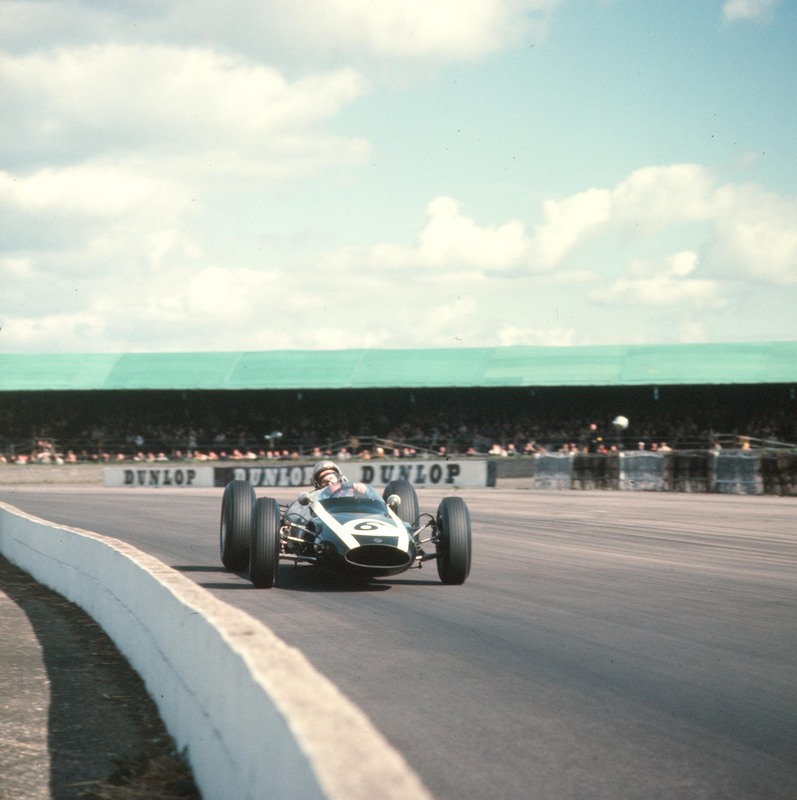 The two Brabham drivers – showing how relatively closely-matched the top Climax teams were in 1963 – ran one-two; then came Bruce McLaren in the svelte Cooper, then Hill and then Jim. They were running nose-to-tail – and sometimes closer than that. 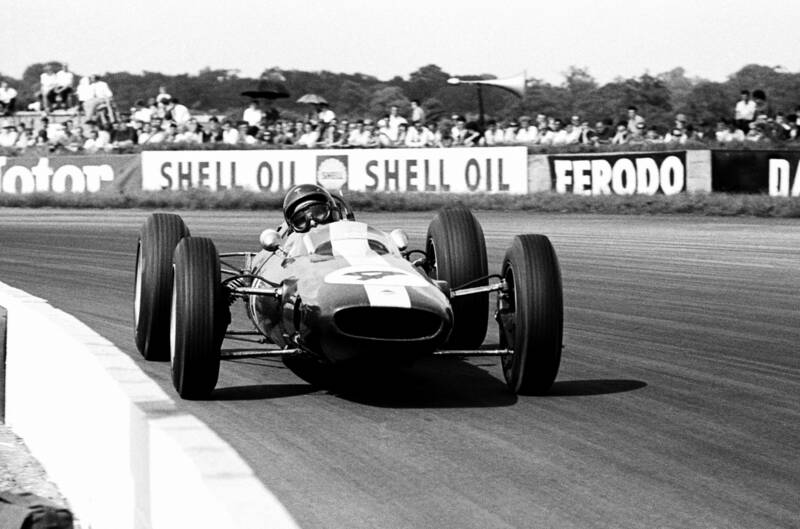 Gurney pitched the Brabham into oversteer at Club; Jack, helmet leaning forwards, kicked up dirt at the exit of Woodcote. Jim began to dive deeper into the corners, to gain a tow – and then to pull out of that tow under braking. 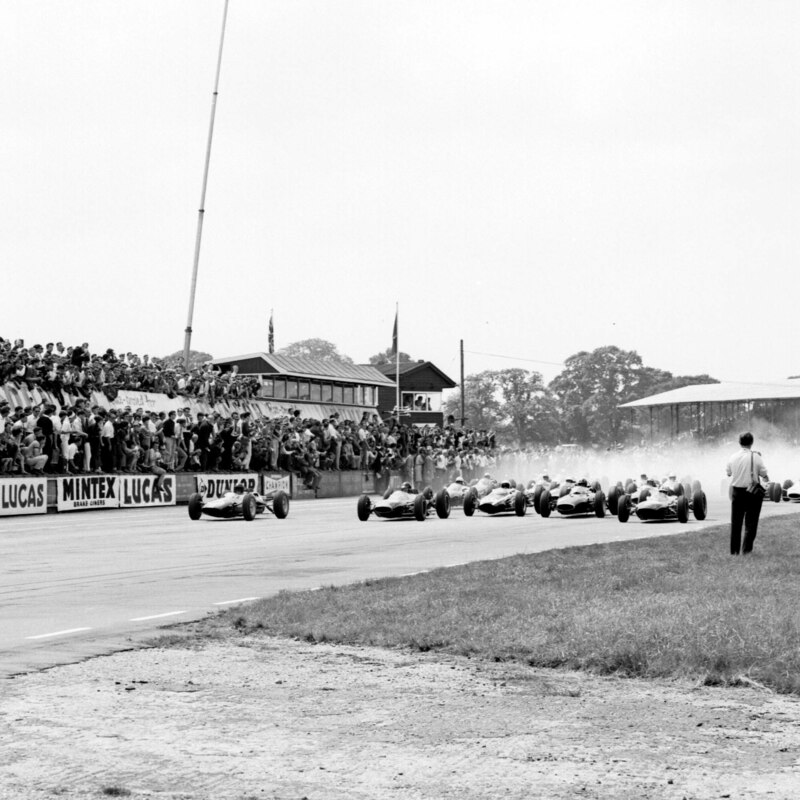 By lap four he was in the lead and pulling away…whilst Bruce McLaren was pulling up on the entry to Becketts Corner, the Climax engine blown in his Cooper. There was no quick rush back to the pits for Bruce, no beat-the-traffic early departure. Instead, as on Friday, he stayed and watched, for that is what great athletes do. Bruce: “Jimmy came through with his mouth open and occasionally his tongue between his teeth. The tyres were holding a tenuous grip on the road with the body and chassis leaning and pulling at the suspension like a lizard trying to avoid being prized off a rock by a small boy. Then Dan arrived, really throwing the Brabham into the corner, understeering and flicking the car hard until he had it almost sideways, then sliding through with the rear wheels spinning and the inside front wheel just on the ground…” It was a demonstration of four-wheel-drifts; it was Jim Clark rhythmically poised like never before in an F1 car, the small-diameter Dunlops combining with the surface oil to produce a slide-fest of classic proportions. 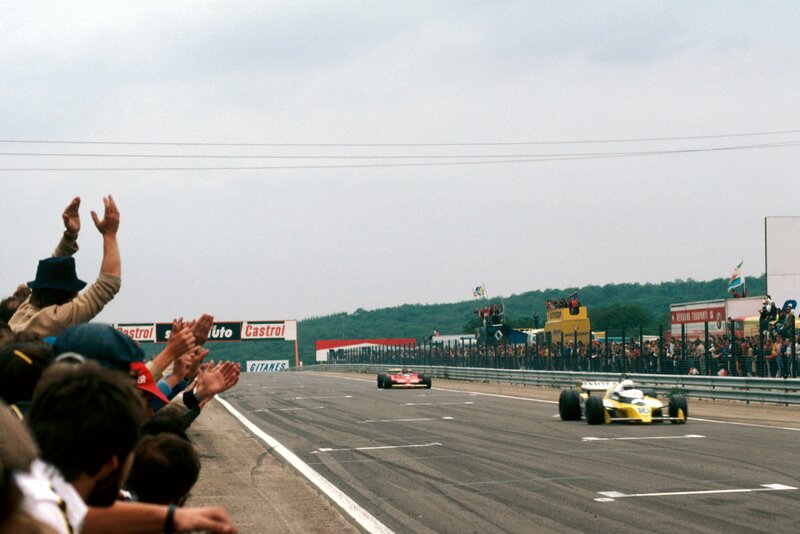 There was no need for a score of passing manoeuvres to make this British GP “work” for the crowds; there was no need for forced pit stops or for overtaking aids. It was enough, this day at Silverstone, for the fans, and for drivers of the quality of Bruce McLaren, merely to see a genius at work. Jim won the British Grand Prix by 20sec from John Surtees’ Ferrari and Graham Hill’s BRM (for both Brabham drivers also lost their engines after excellent runs). Graham, who, like Innes Ireland, was always fast at Silverstone, ran short of fuel on the final lap and was pipped by Big John, the lone Ferrari driver, on the exit from Woodcote. The race was also notable for Mike Hailwood’s F1 debut – he finished an excellent eighth (or, in today’s parlance, “in the points”) with his Parnell Lotus 24, and for the seventh place of his exhausted team-mate, the 19-year-old Chris Amon. Chaparral creator/driver, Jim Hall, also drove well to finish sixth with his Lotus 24. For this was a tough, hard race – 50 miles longer than the 2013 version and two and a quarter hours in duration. 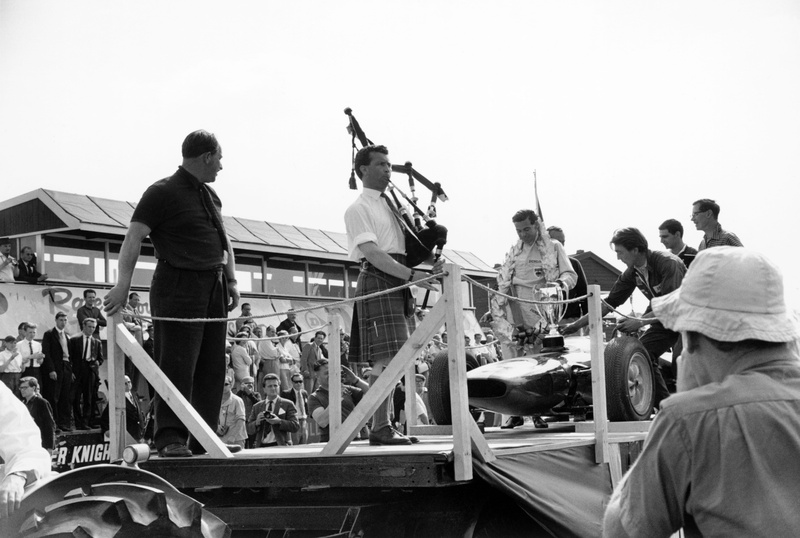 Jim Clark waved to the ecstatic crowd on his slow-down lap (no raised digits from James Clark Jnr) and, to the sound of Scotland the Brave – a nice touch by the BRDC – and to the lucid commentary of Anthony Marsh, bashfully accepted the trophies on a mobile podium that also carried the 25. Colin Chapman wore a v-necked pullover and tie; Jim looked exalted. He had won again at home. He had won his fourth race in a row. He had the championship in sight. To Mill Hill, then, they repaired – and then, for a change in pace, to the following weekend’s non-championship race at Solitude, near Stuttgart. compare this to the multi nationalities racing today … where were they then ? why was it all largely Brits & Antipodeans ? That thought hadn’t occurred to me, I must say. To me, a driver is a driver. 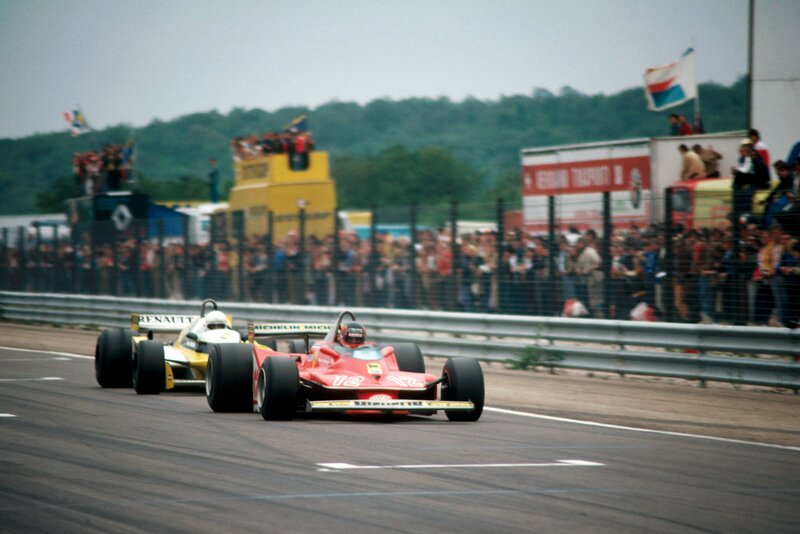 I was a Patrick Depailler fan, for example, not because he was or wasn’t French. I was a fan because he drove well and he was a good man. Equally, I was and am close to Nigel Mansell not because he is English but because he was/is that tough, young fighter I met in 1977. Having said that, I think it’s interesting that drivers like Tim Mayer and Peter Revson were prepared to come all the way to Europe to show their skill at FJ level. That, too, shows massive determination. Another masterpiece from Peter. Thank you very much, we the newer fans, who didn’t have the privilege to see this genious at work, but we are lucky enough to have your words to draw us a picture in our mind, with amazing details. You not only give us the pleasure, but also show a way to embrace & appreciate motorsports as well as celebrate the history. Many thanks. Very kind. I just wish I could supply even more details from that amazing 1963 year. Great stuff, keep it coming. Only just discovered this blog and am catching up. Great interviews on the U Tube channel also. Iam very interested to hear that you own the ex Clark/Crombac S3 Coupe. I always wondered where that had gone after it was sold. Do you still own the red ex Scott Watson one also? I myself also own a 67 E reg S3 Coupe in yellow that I see as “my little bit” of that era. I have spent far more time and money than is prudent to get it as nice as poss. Any plans to go to the Lotus Festival at Brands in August? Thanks for message. Yes, still lucky enough to own the ex-Ian Scott-Watson red Elan and also Jim’s 1967 yellow S3. I also have a ’66 green and yellow Super Seven and a ’66 Mk 1 Lotus-Cortina. Top work as always, I followed Jim’s racing from the early magazines and then saw him in action at Zanvoort and Spa in ’66 as well as MoSport in ’67. Many great memories. Thanks for all the fine writing and pictures you give us. Not that it is important, but I bought an Elan in ’64 and really loved it but, sold it and moved to a 911 in ’65 and another picked up at the factory in ’66. So I share some of your passions it would seem. Enjoy your work here and on ‘youtube’ as well as the time with speed channel. Some lovely cars there. Such a shame when the 911 had to go to bigger front fenders. Thanks for kind words. My brother Peter built a Lotus Super Seven in 1962 and sold it back to Lotus in 1964 in exchange for a new Lotus Elan S2. We drove to Yugoslavia on holiday in 1965, via France, Germany, Austria, Split. 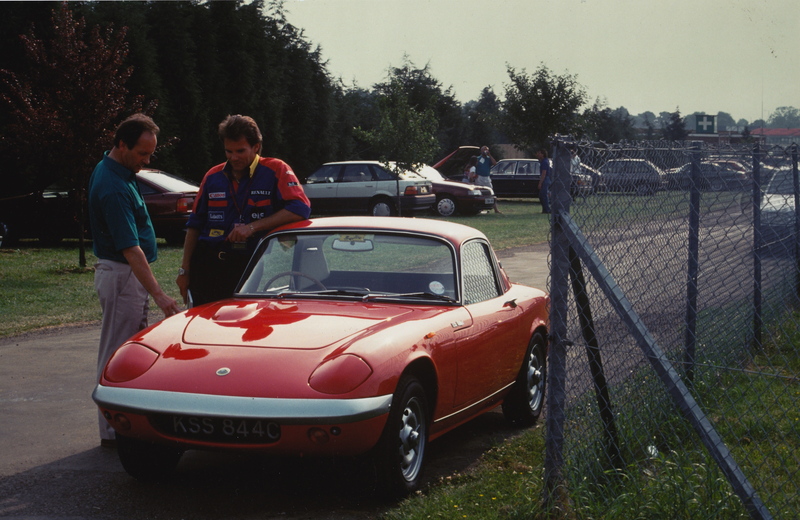 The Elan caused a stir everywhere it appeared, especially the pop-up headlamps. I think it was the first Elan to visit Yugoslavia !